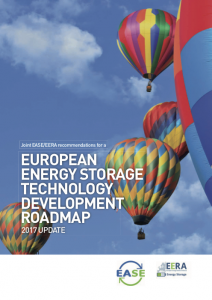 EASE and EERA released the 2017 update of their roadmap which provides a comprehensive overview of the energy storage technologies being developed in Europe today and identifies the R&D needs in the coming decades. On this basis, the roadmap provides recommendations for R&D policies and regulatory changes needed to support the development and large-scale deployment of energy storage technologies. The aim is to inform policymakers for research, innovation, and demonstration in the energy storage sector in order to further strengthen Europe’s research and industrial competitiveness in the energy storage industry.